Turn on my computer and it boots fine. Use it for a while and shut it down. Turn on my computer and it hangs. Hold the power button to shut it off. Turn it on again and it boots fine. Repeat. This seems to be a problem with the Fast Startup function in relation to some Nvidia video card drives in some older computers, particularly Dell Latitude E6430 and E6420 laptops. 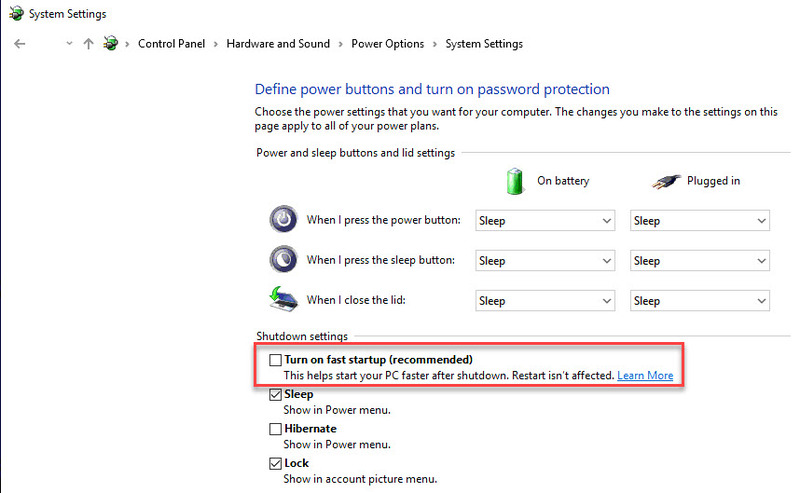 You should turn off Fast Startup. How do I enable or disable fast startup?